Used by marketers, bloggers, writers, Amazon store owners, social media account admins (Facebook), it is a URL shortener & link retargeting platform that helps connect call-to-actions to custom links. URL shortener for marketers that allows businesses to add retargeted pixels and Call-to-Action to brand domain links. Pros: ability to insert your tracking pixels in your shortened links. Useful for remarketing campaigns. Dashboard also features folder features for grouping tracked url and analytics dashboard so to know some info on your visitors. Cons: Inability to segment visitors who clicked on tracked url. This can be based on demographics like country, etc and would be useful. Pros: I love RocketLink and what it does. I can convert my long urls to short URLs and I have the option to use my own custom domain. I can also insert CTAs of any URL just like that. I can add all pixels to retarget my visitors, all in all this is a amazing and simple software that every digital marketing guy needs. Cons: Need in-depth analytics, dashboard can be improved, its too simple right now. No segmentation yet. Hopefully these will be improved or implemented this year. Overall: Myself and my colleagues are super happy with the software and its abilities. Pros: With the announced death of Goo.gl is necessary to find another URL shortener, and RocketLink is the perfect substitute. You can shorten your URL and also add your pixel from different platforms, like Facebook, LinkedIn and Google Analytics. With this data, you can build your audiences, unique CTA's and retarget the audience. The main advantage over Bitly, for example, is that you can add the pixels and track the audience and the unique CTA's. The number of visitors and links is also pretty high, it all depends on the plan you get, but it's cheaper than the competition. Last, but not least, there is the possibility to use custom URL, which is a major advantage, in terms of branding and deliverability. I strongly recommend using it. Overall: I'm very happy with the software. Cons: We will be defintely more delighted if it provides more integrations with other Saas products that uses their own tracking links features. Pros: If you are a little bit familiar with links and data analysis in the web you will know immediately why this tool is a must-have. With it, it is very easy not only to link and grab data from your links / referrals. No: Furthermore you can use UTM or to name your link and even to use your own domain like "links.my-domain.com/my-link-1 to grab data you otherwise would'nt have and to get a lot more insights (and money) you would'nt otherwise be able to take from the table. Cons: If you are a complete beginner, you will have to learn a bit about links and why and what for you need those data this tool is able to deliver. Overall: Since around 3 months I am using this tool daily. That means that I am showing daily on the great dashboards to monitor my traffic and see if I should change something. It gives me a great overview without beeing forced to dig deep into Google Analytics or other not-easy-to-use-tools. Also my experiences with the support are great. A great way to retarget and track link activity! Pros: I love that you can use custom domains and tracking pixels within RocketLink. It's intended for affiliate marketing purposes, but I also use it for A/B testing with my social media graphics, especially on Pinterest. RocketLink is a simple product, but there are a lot of use cases for it if you get creative! Cons: I would love to have more in-depth analytics, but what they do provide is still helpful. The UI is also very basic, but that isn't necessarily a bad thing - it just isn't extra pretty like some UI's these days. Overall: RocketLink has really helped me get a handle on what content performs best as well as helping me with retargeting. It's great to be able to remarket to people who click a link, not just those who visit my own site! Pros: Overall ease of setting up and creating shortlinks (also a con, read below). Ability to add different pixels is a big plus. Ability to use custom URL's is fantastic for adding brand value. Has a Chrome extension (also a con, read below). Cons: While they do have a chrome extension, it does not allow you to use your custom URL or to change the slug. You have to log in to do either.... so the extension needs some improvement. Also even though adding clients and teams was one of their earliest roadmap features, it's still not there and they have no clue when it will be added. Overall: Overall my experience with them has been decent. The dev's are very active and support has been good as well. I just hope they add the features they advertised instead of relegating them to the back of the list. They seem more intent on added misc bells and whistles that weren't originally listed as a feature than than to add/update those that were. Pros: It has all the features that I was looking for plus it's easy to use. I love how easily I can set-up unlimited custom domains under one account. I also how conveniently I can manage my multiple brands along with their specific retargetting pixels. Overall: Overall, I am a happy paid user of RocketLink. Cons: If you are not very tech savvy, there is a small learning and experimentation curve. I would also like to see a Zapier integration with the tool to facilitate retargeting and auto link generation with or from within other tools. Overall: This will enable me and my clients to conduct richer data driven social media campaigns. Very cool. Hi James! Thank you for your review and feedback. Pros: With Chrome extension addon, my VAs can quickly shorten links into pixel tracking links wrapped in Google Tag Manager, and promote out there in the open fields. Organize into brands is another clean feature. Cons: New features lacking. Though Rocketlink works as advertised, if it don't innovate, it will lag behind similar competitors like joturl. Overall: Works smooth as advertised. Pros: Set up branded tracking links quickly. The chrome plugin streamlines link set up even faster. Integration with Facebook pixel is very practical. Cons: Organisation tools not yet in place for sorting and organising links for different clients. Old links get lost at the bottom of your feed. Overall: Quick and robust with loads of future potential once organisational tools are in place. Pros: We aren't really technical people and as local business owners, we want things done both easily and efficiently. Rocketlink allows us to track our marketing campaigns with easy to understand analytics and best of all, we're able to insert our retargeting pixels easily. Definitely a huge advantage that goes well with our online advertising on facebook and adwords. Cons: Really hope to see the time-based expiry links and the ability to direct visitors from a certain region to URL A, another region to URL B. Thank you so much for the review and feedback. We will do our best to evolve in the direction that will fulfill your expectations. Pros: A must in your aresenal if you are in the internet marketing industry. If you are doing offline marketing, rocketlink also provide unqiue qr codes for your tracking links. Generate the qr code and paste in your prints or offline adverts. Another solid advice is to configure your cname (your own domain) and personalize your tracking across all your marketing campaigns. Pros: It works as advertised. Not only is it a great tool for tracking, and it is also a great tool for converting that traffic into customers. Cons: Would like to see Bing added for pixel intgration. Overall: My overall experience is excellent. I am able to track all of my prospect's activity using RocketLink, and increase my opportunities to make sales. Pros: Simplicity, features, support, dashboard. Overall: I use it to link to my stuff and have access to customer data. 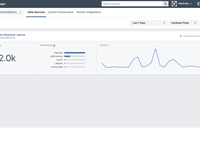 Pros: It is super easy to add tracking pixels from Facebook, Adwords, Pinterest and more. Awesome for retargeting, and did I say it was easy? You also get shortened links, and you can use your own domain for those. And the Call to Action feature - wow! Link to an article from your website or social media, and there will be a widget on that site where you can suggest follow-up! Cons: There is a slight learning curve, and some time needs to be spent setting up the pixels, and the custom domain if you want it. And it takes a little while to create a nice looking Call to Action. After that, though, you just select the tracking you want to use, and create a link! Overall: I've barely scratched the surface of what I can do for my clients with RocketLink, but it's already saving me time AND helping me do a better job. I don't know of any other tool that does what RocketLink does. Get it! I got in practically on the ground floor, and the support has been very friendly and responsive. The support community on Facebook is the easiest way (for me) to get help or suggestions. A good tool but disappointing Customer Support Services and product development! Pros: It's really damn simple and must tool for everyone. It certainly has most of the essential features in it. Cons: There's nothing called Customer Support at all. at beginning Woj and Ola used to reply to each and every query but nowadays they don't even reply to some essential queries at all. Even if you remind and request them n number of times. Overall: Best at the beginning and awful nowadays. Suggestion to the duo, please increase the human power and address each customer's concern or create support forum. Seen and not replying isn't way to deal with your paid customers. Period. I am sorry you're disappointed but as you know we have replied to all your questions and pointed tutorials in our documentation that answered your problems. We have also explained that setting up a custom domain to work with our service needs the proper DNS configuration - which we explained. Unfortunately we couldn't solve your problem with long domain propagation time as this something we don't have access to. We did our best to explain how it works, assisted with the DNS configuration and suggested to contact your domain registrar to solve the issue on their end. Unfortunately, we can't allow to be flooded by the same message after we explained what needs to be done. Pros: I love having a second method and platform to track the number of clicks on all of my campaigns. It helps to keep other platforms honest and is really helpful to have all in one place. Cons: I do wish there was additional functionalities and ways to use the links and data collected from them. View-through and conversion data would be great to derrive from these as well as the ability to retarget. I would also appreciate a more robust "Help" section. Overall: Rocketlink has helped me immensely! Their customer service is always on point and the platform is easy to navigate. Pros: The saved settings for brands, which autocompletes shortened URL and pixels, as well as the recently added option to rename the custom URL part directly from the dashboard. Cons: I would like to see more filtering options, such as brands, but since this is easily done via the search field, I gueess I am asking for a feature which is, indeed, already there. Overall: Adding Facebook pixels to SoMe links and getting easy access to geo data and quick 'n dirty stats. Thank you so much for the review. We really appreciate your valuable feedback. Pros: I love the ease of use. Having a browser extension makes RocketLink easy to use. Cons: The statistics are a little lacking. The basics are there but I would like to be able to see more about link activity. Overall: I had a problem using the software at the beginning. I contacted support and expected to wait days before receiving a reply since that is typical with most software companies. Not RocketLink. I received a reply in just a few short hours. Even better, the solution they suggested fixed my problem. Great support is just as important as a great product. RocketLink has both. Pros: I like the idea behind it. For now, my use is very simple as I explain later. I am very interested in future developments. Cons: There is not yet a way to catalog links with labels or tags and divide them into folders. Overall: I use the software for two purposes: when I share a link with a customer, it can be the description page of a product or a review, I need to know if that link it is used. RocketLink allows you to do this control. Another use is in Twitter, to understand which posts can be more interesting for my (few) followers. Pros: Helps build re-marketing audience in different platforms including Facebook and Google. CTA function is also great. Cons: Would be nice to have links organised into categories/folders and have dashboards per brand/social platform. Also would be nice to build drag-and-drop CTAs. Pros: I creates good looking and professional call to actions in the links that you are sharing. The call to action box that opens in the destination page has a beautiful icon that can include a person's avatar near the speaking bubble and creates a friendly and approachable way to share your message, whatever it is a sing up request, a promo code, etc. Also allows to add videos, or push notifications in the call to action. Regularly I found new features so it is being upgraded very often. Cons: What I like the least it is that for my Magento shop it does not seem to work well. I think it just works for certain destination webpages. Works well for example when destination page is made with Wordpress. Also, the statitics do not reach mach with the data that I get from other sources. Overall: Good tool to add UTM parameters to links, share them on social media or whenever, and later create retargeting audiences, or just going to google analytics to see how much profit has that link (campaign) generated. There are other similar tools as tagon that also work fine, even when I like this one. Pros: I like the value for money and super easy and simple dashboard. I love the generosity with links, CTA and pixels. Cons: Nothing as such. Would be good to have more tutorial video with step by step procedure of how to use it. Overall: It is till now quiet good. I have created four links per month and already I'm getting quiet good insights. Pros: Customer service is stellar, and the product is simple to use. Cons: Not sure what I like least at this point. Overall: We've been using Rocketlink for almost a year and have had exceptional customer service. We've recommended them to colleagues and they're also pleased. Pros: Rocketlink is an exception product for the price. The team is very reactive and care a lot about costumer service. Cons: It's fairly new and I look forward to future features. 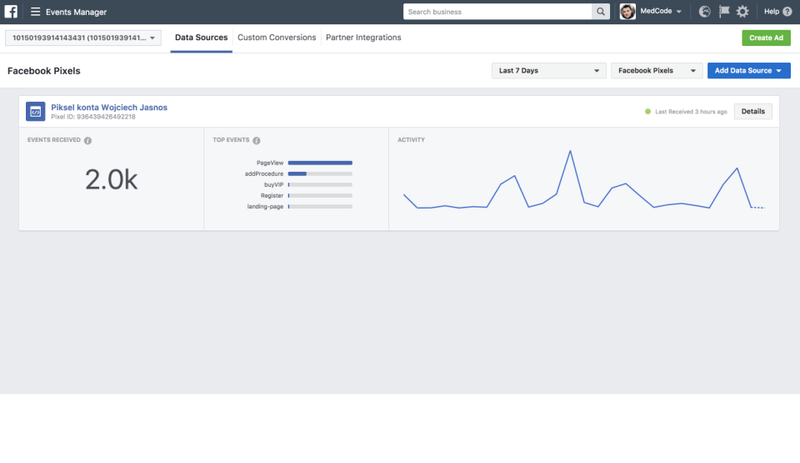 Pros: It makes it so easy to tag and build audiences for retargeting. The UTM codes are easy as well as everything else. Pros: I love that it is very user-friendly and easy to use. Cons: Nothing! I got it at a great cost through App Sumo and love the product! Overall: My experience has been excellent. Pros: Possibility to add multipls pixels to one link. Cons: Dashboard but I know Rocketlink team is working on it. Awesome link shortner with pixels! Pros: I love the fact that you can add the pixels and track your visitors and add a unique CTA. For a link shortner with pixels and CTA, it is also cheaper than the competition. Many ways to leverage this platform. Cons: I would like a better solution for organizing of links like folders. Also more options and easier drag and drop CTA tool. But overall it's fantastic! Overall: Sharing links with data as well as leveraging the CTA when sharing 3rd party links. Easy and Quick but need more features. Pros: It's first retargeting tool which we used and still using because of Rocketlink's userfriendly UX and the chrome extension. The limits are really good. Cons: It's really tough to manage and sort the links as still there's no tags or categories to manage them. Secondly, still, there's much more space for the improvements. Overall: Rocketlink is a very essential tool for us to track the link popularity, create and retarget custom audience on Facebook and other platforms. Cons: The software is really good and they are updating all the time, but need to improve. Pros: We have been able to expand our customer base, reaching B2C customers in areas which are not possible on other marketing tools. Pros: - very simple to use: you can become an expert in minutes. Thank you so much for the review and suggestions. Pros: I can actually track the pixeled customers with the software! Pros: I love the ease of creating links and obtaing the data I need to run successful ads for my novels. Cons: Facebook tends to reject the links lately. Overall: Overall it's been a very positive experience. I love the ease of use too. I've recommended Rocketlink to multiple authors. Pros: Easy to use and all the possibilities, from CTA to Retargeting, and even custom script's. Cons: Maybe a better home page and some video tutoriais with tips. Overall: I do have others, but RocketLink is my first choice, always. Pros: This is definitely a very good and proficient tracking and retargeting tool, I do recommend it. Cons: It's hard to say, maybe the user interface could be improved. Pros: Ease of use. The product is simple and focused, which makes it trivial to use. Even as a non-marketer, I found it very intuitive. Cons: Honestly, nothing at this point. The experience has been great thus far.